Horse owners should protect themselves and their horses at every turn. Just as they would steer their horse clear of danger, they should purchase horse insurance to protect the financial obligation that comes with owning a horse. The following are a couple different types of horse insurance options that every horse owner should consider. This type of horse insurance is comparable to a person’s life insurance policy. It protects the owner against loss if the horse were to pass away. This protection is good in situations that include either natural or accidental deaths. Another part of this coverage is theft. Stolen horses that remain in North America are insured, and some situations allow for the horse insurance to extend beyond and into other countries. 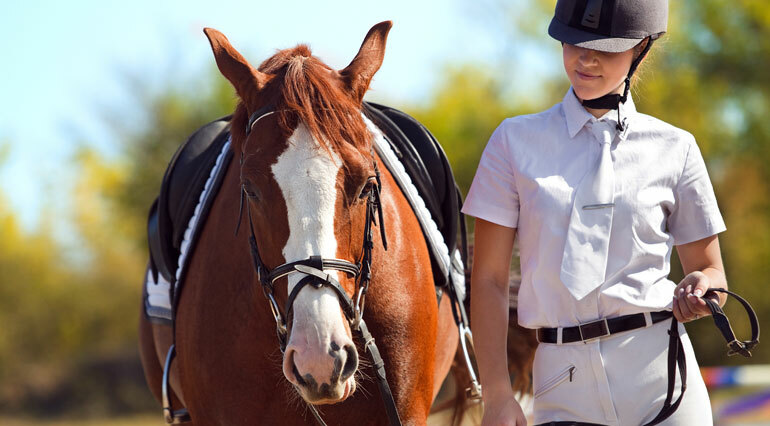 The qualifications for full horse mortality insurance coverage include that the horse is physically sound and that the horse has good health overall. Horses that are valued below $50,000 often do not require a veterinary certificate of health. Short-term Air Transit insurance or European Extension may be added by endorsement to a Full Mortality policy. Some insurance policies allow the owner of the horse to add in some other perils. They include accidental shooting, wild animal attacks, building collapses, drowning, and more. Short-term coverage for Animal Air & Ground Transit Insurance is available. Horse owners each have specific needs when it comes to horse mortality insurance. The age of the horse, the amount of work that it does, the amount of travel that it does, and the area where it lives can all play a factor in the type of horse insurance coverage that is needed. Ark Agency has a representative waiting to help any horse owner discover what their policy should entail, how much the premium will cost, and what requirements are needed to get covered. Begin by contacting Ark Agency today to get a quote today! Call or e-mail an Ark Agency Representative for an estimated premium, policy and company details, and qualification requirements. We work with several insurance companies and rates and coverage conditions vary. We will help you determine which application to use and advise on how to put livestock mortality insurance and horse insurance in force. For more assistance, give us a call today at (320)243-7250 or (800)328-8894.